When it comes to style, trend and comfort is what one seeks for and this special orange built clutch bag with golden sling has an Read More..extraordinary effect altogether. 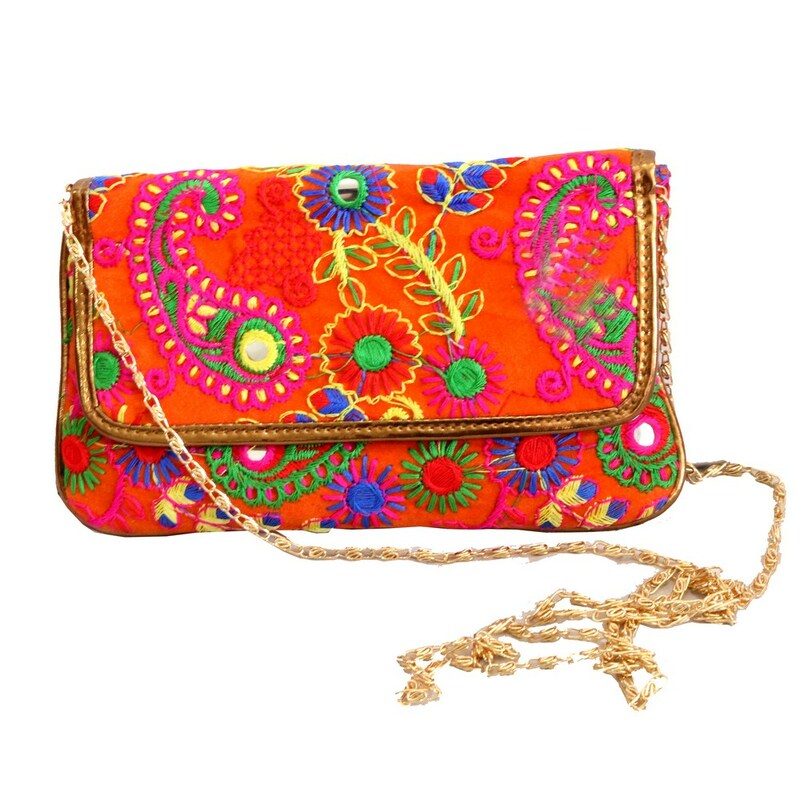 The detailed embroidery design and the magnificent use of colours makes this bag all well put together. Whether to carry or to present, it is an ideal choice. Show Less..